Should I apply carpro iron x on my windscreen? Will it remove the windscreen water repellent treatment coating I done before? Most likely Iron X could degrade your windshield coating to some mild degree. If u are trying to decontaminate your windshield while preserving your windshield coating, perhaps consider light claying instead. However, if your intention is to strip your windshield coating, then better option is to polish. Use carpro ceriglass to remove all the coating. Claying is also recommended. Actually is the opposite I'm trying to keep the coating. I think C.W.S intention is to clean off iron particles from windscreen without removing the windscreen coating is it? You're right, but I just proceed today without spraying the ironX directly to windscreen. What's everyone's favorite car soap? Im just about to finish the 4L bottle of Osren's bubble and wax soap and looking to pick up a new car soap. I use Meguairs NXT car shampoo. A bit expensive but I quite like it, good foam and cleaning ability in my opinion. My reply same with bro V429. CeramicPro is one of the best coatings in the local market here. 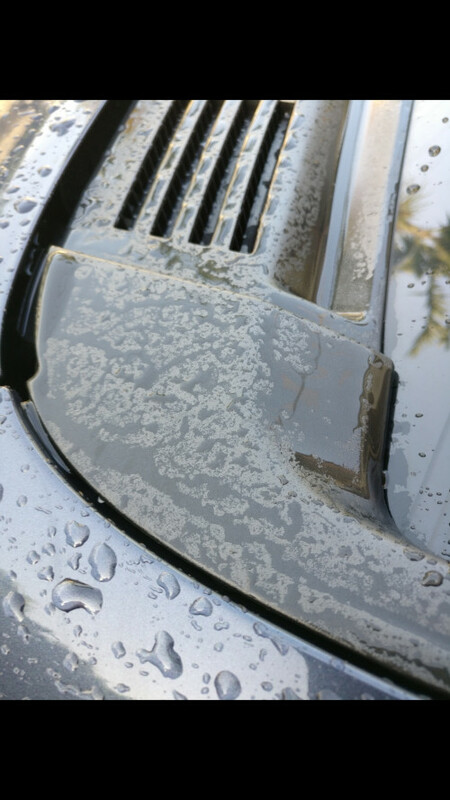 Many coatings which are cheaper are available but CeramicPro is known for it's super hydrophobic qualities that generally outlast others out there. I have 2 cars done with them, one Gold one Silver package. 1) The coating DOES wear off overtime. About 18 months in, with regular care and gentle car wash using good PH balanced car shampoo at least once a week, You will notice scratches (esp near door handles from fingernail impact) and thinning of the coat as well as loss in hydrophobic qualities compared to day 1. So take all the marketing about 9H hardness with a pinch of salt. 2) Don't bother with the additional "layers" marketed by them. I found out that their layers does not mean multiple applications. i.e. one layer, cure, then add on top then cure etc.. etc.. They just spray up (considered 1 layer) then spray down (layer 2) total of x amount of times. Proper CeramicPro applicators overseas will take multi days to apply the multi layer coat, but CeramicPro is done with the car within a day regardless if you take the basic or highest end multi layer option. 3) Interior coating is decent, and last decently. Glass/windows coat doesn't last due to wiper abrasion etc but that is a given. 5) As their warranty covers 5 - 7 years, you will likely send your car back to them to re-coat once its worn after 18 months to 2 years. While their customer svc is excellent (i.e. no questions asked when you complain), the workmanship is not as good as I expect. When I sent to re-coat, the car will be done in the open car wash area and not in the more "dust free" indoor AC area. They prepped the surface to grind down the scratches and remove old coat, but the acidic? solution they used to prep the surface got the chrome trims and grill of the car leaving brown permanent stains. I.e. they don't tape up these areas in a recoat unlike new application. In my case, they didn't even apply the ceramic coat after the polish and gave the car back to me. When I felt the surface I knew it wasn't coated, and the manger apologized and then got their worker to spray coat it. After the respray/recoat, I noted that the coating this time around wasn't of the same quality as the original, and suspect they did a Ceramic Light rather than a ceramic 9H recoat. However, it's too much hassle to complain etc so I just live with it. 1) Definitely workmanship is better. The manager and supervisor are technical people who watch over the coating process (in CeramicPro, the management is .. more customer svc management and all techical and supervisory work is done by lower level workers only). It was a multi day application as well for CQFR. 2) Hydrophobic quality of CQFR doesn't match CeramicPro, but gloss is comparable or maybe slightly better. The good thing about CarPro's program is there is scheduled maintenance factored into the package rather than CeramicPro's model of complain and then do. I prefer the former than the latter. Also Carpro maintenance program includes applying CarPro Reload to maintain the coat which I think in the long term, coating will need to be "refreshed" and maintained well. Overall, I still believe CeramicPro is one of the best in the market. Just the quality of work and lack of structured maintenance program is not ideal. I have friends who tried Gzox, Opticoat and Gtechniq and all coatings WILL wear off within a year or so. CeramicPro seems most durable so far.. but will need some maintenance and careful dealing with the shop/management there. Very interesting to hear the feedback from someone that has experienced both Ceramic Pro and CQuartz Finest Reserve. These happen to be the two coatings that I am considering now. Between the two, if you were to get another new car coated, would you go back to Ceramic Pro or stick with Finest Reserve? 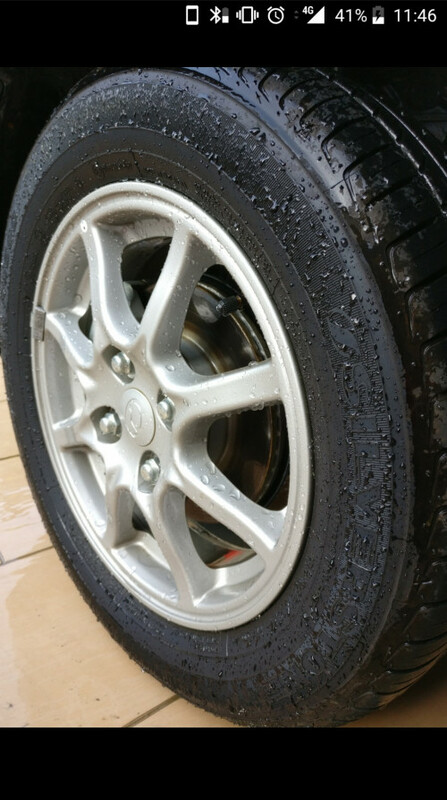 Noticed today Carpro PERL on tires does still have a bit of water beading / sheeting effect even after 2 weeks. But not so much on external plastic parts. Also, noticed my parents' car have the same problem as Victor. There were also some other bugs and flies all died inside. Wonder how they get in? Hmm..
Hi all sifu, I had my car for like 1 week old from delivery. May I know, if I want to apply wax myself, do i still need to do polishing? As my housing area, has heavy mist. So early morning, the whole car is wet. Or i just get those watermark remover and apply wax? Currently I am using the osren wax and it's almost near to finish already. Wondering if I use those spray wax, can it last longer or last the same as the osren wax? Thanks for in advance for the guide. Perl isnt the most durable of products, but it is very well dilutable, so that still makes it highly value for money. Probably just need to apply more frequently. As for things going into the lamps, if there is no crack on the exterior, then chances are it may have gone in from the inside somehow. Generally paste and liquid wax would be slightly more durable than spray wax. If u intend to migrate to spray wax for ease of application, then u may need to re-apply more frequently. I used to live in an area where morning mist is a regular thing also. What I do is usually take a pail of water from my house and throw over the car, then go out. The wind speed from driving should push away most of the water. Which means now I just need to apply the wax on the whole car then every morning spray some water on my car can already right? No need to polish for water mark removing? Mmm, let me clarify. Every morning I used to splash my car with water then drive out to work. If u just spray water and let it idle and dry, then the water will become watermarks instead. Honestly there is no guarantee that watermarks wont form over time. Some days when the day is extra hot after a short drizzle or rain, watermarks may still form because of it. However, as long as u continue to clean your car regularly and apply protection like wax, then u should be able to remove watermarks easier in the future if the need arises. Bro Clement, I think basically if you wash your car regularly (once per week or at least once every 2 weeks) you dont need to worry too much about watermark. Watermark are usually a problem only if water dried on your car and you leave it without washing it off for long period of time and the mineral deposits in the water is baked or etched into car paint / window. Another thing I would suggest you to do for your new car, is get coating for all your car windows (something like rainx), this in my opinion helps to minimize potential watermark on your window (though it may cause wiper juddering). I see, maybe you can consider trying rainx since it's not too expensive I think. I also sometimes get morning mist on windscreen. Couldn't find reason why it happens so I just spray water and activate wiper to get rid of it. 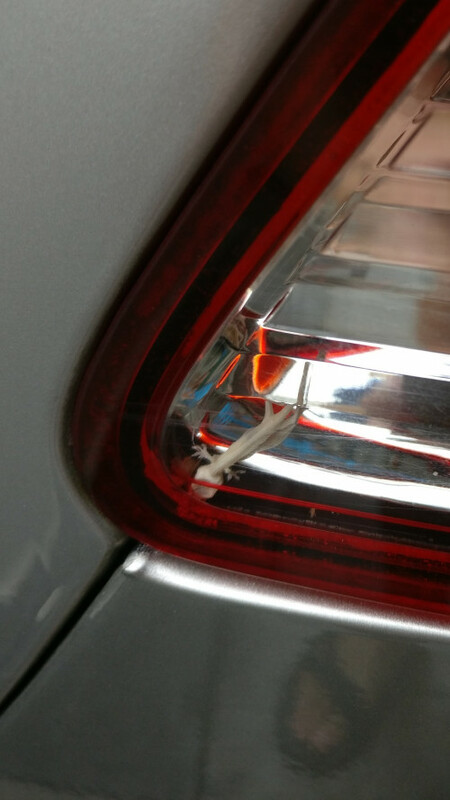 Hey bro, I was wondering how you find Carpro PERL in terms of application, durability, and as a protectant? I'm actually interested in purchasing PERL exactly because of what @blurcase mentioned, in that it can be diluted and is multiuse. Reminds of of ONR because of how versatile it can be. How often do you guys clay and wax your daily drive car? Application : easy, after diluting it just drip some on cloth / sponge that wipe it on rubber/plastic/tire. Best thing is you don't need a lot, like 1 or 2 drip on sponge is enough for an entire plastic door panel. Just need to spread a very thin layer of it. Durability : honest don't know long term durability because I just started using 3 weeks ago. Based on observation, on tire still have water beading effect after 2 weeks but the matte look has faded. Internal plastic still looks good after 2 weeks. External plastic seems to have faded after 2 weeks. Protection : still can't tell if it really helps prolong life of plastic & rubber against the sun since I only started using this 3 weeks ago. But this product does say it provide protection against UV rays. I think carpro perl is worth a try and indeed very versatile. It's especially nice in car internal plastic panels. Makes it matte and a bit shiny.